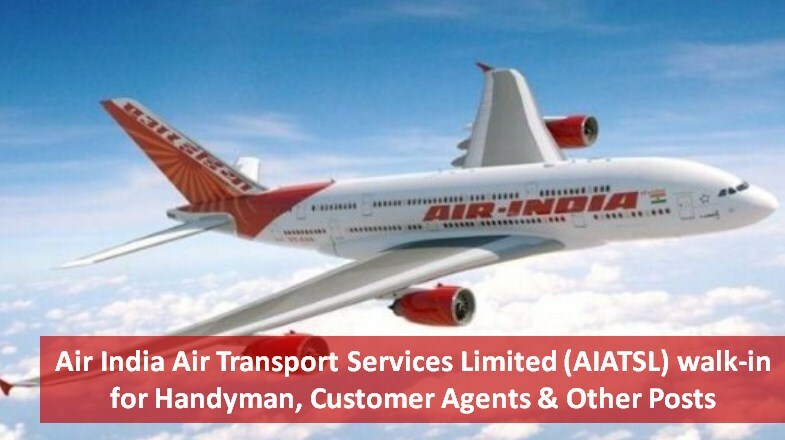 Air India Air Transport Services Limited has notified online to walk-in for various posts across India. Candidates who are eligible and fulfill requirement for these positions can apply before last date. Post is fixed contract basis for a period of 5 years. As per performance standard or company recruitment contract may be renewed. Age Criteria: 28 Years for General, 31 Years for OBC and 33 Years for SC/ST. Mode of payment: Demand Draft in favour of “AIR INDIA AIR TRANSPORT SERVICES LTD.”, payable at Mumbai. 1. Candidate should be Graduate from a recognised university. 3. Should be Conversant in English speaking. Knowledge of Hindi and local languages. 2. Must be able to read and understand English language. 3 years Diploma in Mechanical/ Electrical / Production / Electronics/ Automobile Engineering. Note: Please read all instructions carefully from the official notification.